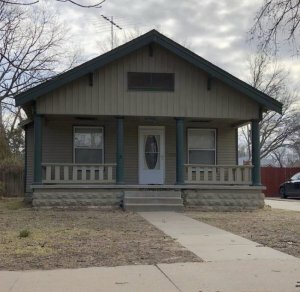 We Buy Houses in Wichita, Kansas! Call (855) 741-4848 Today For Your CASH Offer! Selling a residential property is rarely easy. Only a few homeowners in Wichita are lucky enough to sell their properties quickly and at the desired asking price. These are usually the finest houses at the most sought after areas in the city. Most property owners will have to spend a lot of money, reduce the asking price and wait for a really long period of time to sell their houses in Wichita, Kansas. The only way you can avoid all the overwhelming challenges is Dependable Homebuyers. Owners of residential properties need to invest a few weeks to prepare for the sale. Property inspection is necessary to determine the fair asking price. All homeowners have a certain idea of the tentative asking price but one can only be certain when an extensive evaluation is carried out by a professional. Market conditions do not remain the same. The demand and supply scenario is a major influencer. Other factors shall also influence the fairness of an asking price. Just as the asking price is determined, homeowners must find a resourceful realtor. 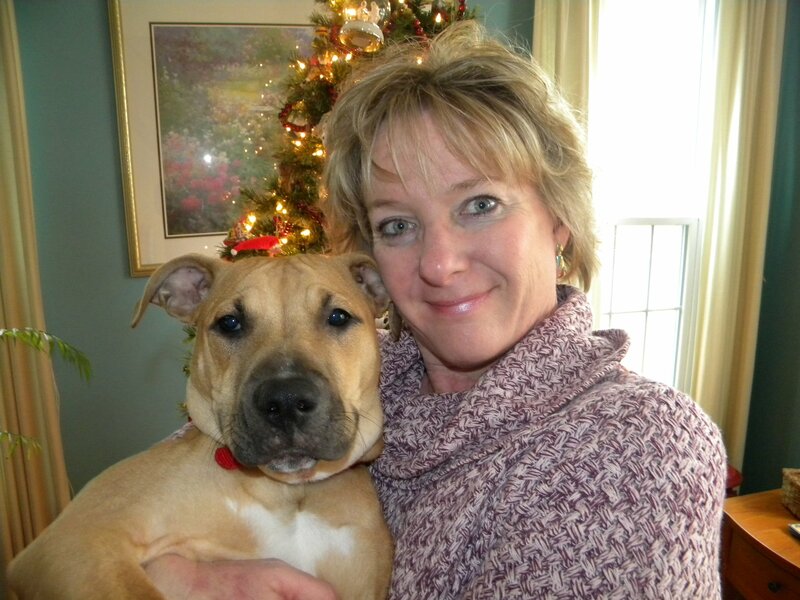 There are many real estate agents in Wichita and across Kansas. You will have to interview a few, assess the quality of consultation, check out the full scope of services and appoint one who you think will be your best bet. These two processes can take longer than a week. All properties need to be staged before they are put up for sale. This staging used to be imperative before prospective buyers would come around during showings. Today, the staging is essential even before a house has been listed online for sale. Buyers want photos and videos. It is becoming customary to have video tours. Properties that have quality images and videos accompanying the online listing or posting will always generate more interest among potential buyers. Hence, you will have to spend a substantial sum of money to stage the property before your realtor can take a few pictures and shoot a video. The listing does not take much time if all the contents are ready to be uploaded. Realtors will look for buyers. They may take weeks. Some may take months. It is not unlikely for you to have an interested buyer within a fortnight of listing the property online. However, this is only the beginning of the whole process. There is no certainty whether or not the buyer is genuinely drawn to the property. The buyer may simply want to check it out as a part of their ongoing quest to find the most desirable home. Realtors usually take months to bring around a few interested people and all of them will have their own preferences. Some may be uninterested straightaway and others might want to negotiate the price. The wait time for property owners trying to sell their houses in Wichita, Kansas, is around ninety days on an average. The wait time is significantly longer for properties that have some issues. There are usually several issues in most properties. Not all of them are deal breakers but they can adversely affect the prospects and delay the sale. Any homeowner who takes the old route to sell their residential property is compelled to deal with the overwhelming odds. The only solution is to contact Dependable Homebuyers. Owners of residential properties can sell houses directly to us. We do not need any realtor to contact us on your behalf. We do not refer to online listing or any such advertising to find sellers. 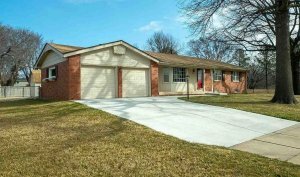 We buy houses in Wichita, Kansas, from homeowners and we do so without the interference or influence of any third party. This is the simplest way to sell any type of house anywhere in the city. The only thing you need to do is write to us through the online form. We ask for simple and relevant details. You may also call us. Dependable Homebuyers is not looking for people who may want to invest in residential properties or buy a house. We are the buyers. As a seller, you can avoid all the uncertainties and the long drawn processes of property inspection, staging, uploading pictures and videos, hiring realtors and looking for homebuyers, hosting multiple showings and then dealing with endless negotiations or some forms of correspondences to eventually try and sell the house in six months or so. You can contact us and we shall initiate the whole process immediately. You can sell the house faster than you may think. Dependable Homebuyers will give you an offer in one day. You can contact us today, we will view your property tomorrow if you are available for an appointment and our team will draft the purchase offer within just twenty four hours. You cannot get a purchase offer from anyone in one day. No realtor can help you to get a real offer in a day. No homebuyer will be able to make up their mind in one day. There is no service online or offline available today that can facilitate such an expedite sale. Only we can do this and we have already done it for several homeowners in Wichita, across Kansas and many other states as well. The purchase offer clearly mentions the fair price of the property. Our property inspection enables us to determine the fair value of the house. We have a research team that verifies all details and we are ready with the proposition. The proposition is not obligatory for you. It is not necessary for you to accept it in a day or even a week. You can take your own time to decide. There is no financial obligation either. You are not paying for our property inspection. You are not staging your house to impress us. You are not paying for any listing service or sponsored post online. There is no advertisement or marketing involved. You are also not hiring any real estate agent. All you are doing is simply contacting us, scheduling a viewing and then getting a cash offer. All this can happen in a day to two days. You can also schedule an appointment for the weekend if that is when you will have enough time for a viewing, property inspection and extensive consultation. Quit procrastinating! 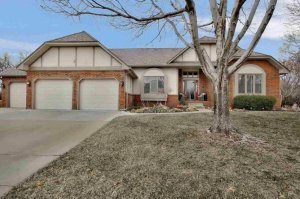 If you need to sell your property in Wichita, Kansas, then give us a call at (855) 741-4848! We have an expedited approach towards the sale as well. Not only do you get an offer in an unprecedented span of time, you actually get to sell the house in only a week. We usually take five business days to close the sale. Seven days is really the maximum time we need. Despite being able to complete an expedited sale, you are not obligated to agree to such a quick transfer of ownership. There are many homeowners who would rather time the sale to be in sync with their moving or some other obligations they may have. But those who wish to sell their properties immediately will find Dependable Homebuyers to be the only pragmatic option. Dependable Homebuyers is an investment company. We have a nationwide presence. Our base is growing in Kansas and across the Midwest. We specialize in residential real estate. We buy houses in Wichita. We do not buy commercial properties at this stage. Our company is fully funded and we do not require banks to approve loans or any other investor to provide us any type of financing. Since we are not looking for any assistance from other parties, it is our discretion how quickly we should complete a sale. Our standard practice is to close sales in a week. This includes all the paperwork, financial transaction and transfer of ownership. If you want to sell a residential property in a week, then you should contact us immediately. 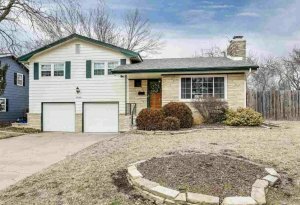 Ordinary buyers are rarely content with the condition or location of houses in Wichita. Most buyers have issues with both the location and the condition. Your house may not be in the most flattering state. It may not be located in a prized neighborhood. The specific location within a neighborhood may also not be the most desirable. All such issues are daunting challenges for a seller. A buyer can simply move on to another property and explore as many as they want. A seller will have to wait for another interested buyer to swing by and the same odds still prevail. All buyers will have stringent criteria while assessing houses. They do not want to make any compromise. After all a house is the singularly most important investment for a majority of Americans. The location, condition and all other factors that form the crux of preferences for homebuyers become irrelevant when you sell a property to Dependable Homebuyers. We have already purchased houses in various locations across Wichita. We have acquired homes in every condition you can imagine. The swankiest properties are the easiest to sell. The asking prices may be a tad higher for such properties but the condition or location is rarely an issue. Most properties, however, have some problem or the other. Your house may have cosmetic issues. There may be structural problems. You may have both. 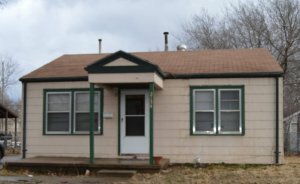 A property may be in definite need for repairs. A house may be actually dated and a substantial renovation might be necessary. Do not worry about these as they will not become a reason for rejection. We Buy AS IS Homes In Wichita, Kansas! 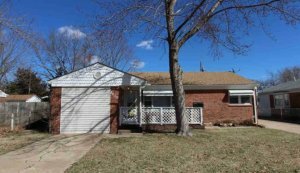 We buy houses in Wichita, Kansas, in every neighborhood or location, in all conditions and regardless of the history of the property. There are quite a few hoarder houses in the city. These cannot be sold through the usual listing services and other means. There are homeowners who are dealing with foreclosure and they do not have the liberty of time to wait for a typical sale. Some properties are valued at a price that falls short of the money owed, in mortgage or other loans that use the house as collateral. Any such issue can jeopardize the prospects of a sale. Let aside selling a property quickly, you may not be able sell the house with serious shortcomings or riders. Dependable Homebuyers is still the solution in such circumstances. 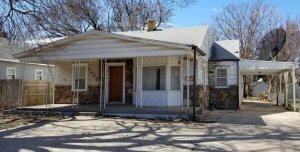 We buy houses in Wichita, we can go for a short sale, we can work with your bank and negotiate a deal, we are interested in hoarder properties and even alarming structural issues do not deter us from making an offer. The actual condition of the property will be factored in our assessment and that will influence the fair value. But you will have a purchase offer in a day and you can sell the house in a week. 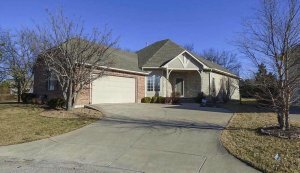 We Buy ALL Type of Houses in Wichita, Kansas! Property owners hiring realtors will have to pay a hefty commission. Six percent of the sale price can be several thousand. The closing cost is two percent. This has to be paid for by you. The two major costs put together will definitely be over ten thousand. Costs of staging, inspection, appraisal, advertising, legal and financial services, potential repairs or renovations and other variables will further amplify your financial obligations. You do not need to agree to any of these obligations, when you sell to Dependable Homebuyers. Free yourself completely from all such pledges. You will not pay even a cent to Dependable Homebuyers throughout the process, either during or after the inspection, through the week when the sale is expedited. You are not committing to sell the house to us till you sign on the paperwork. You will have ample time to weigh in on the sale agreement. All formalities are taken care of by us. We pay for everything necessary during the entire sale. There is no other way you can sell any kind of house without spending money. This maximizes the return. You will have a much greater net gain by selling the house to us than all other alternatives. Contact us today and sell your property. Don’t Delay! We’re ready to give you a fair, cash offer for your Wichita, Kansas property immediately. No matter the condition, no matter the situation – you can sell your house fast without listing with a real estate agent. Fill out the form below for your no obligation cash offer!